There are two clear camps when it comes to change – those who moan about it and those who thrive on it. I’m definitely one of the latter, which is one of the reasons why I love my job – because technology is constantly emerging. Whether you love it or hate, there’s one big change on the horizon that we all need to prepare for, and that’s the switch from ISDN to IP technology. Sound complicated? Don’t worry, we’re here to make the transition nice and easy for you. Put simply, here’s what it all comes down to – BT has announced it will cease ISDN (Integrated Services Digital Network) by 2025 and stop selling it by 2022. ISDN is a network technology that supports the digital transfer of simultaneous voice and data traffic, along with support for video and fax, over the public switched telephone network. A few people in lesser populated areas – where better options aren’t available – continue to use it, however most internet providers have already phased out their support for ISDN. The reason? This technology is outdated and is more expensive than IP telephony by around 40%. Instead, if you haven’t already, businesses have to move to an IP solution. These cover all services, from voice and data to video. 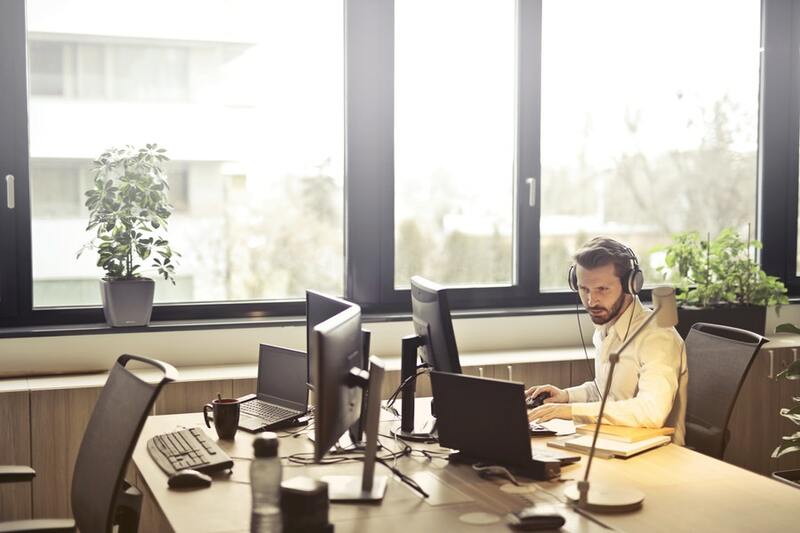 SIP trunking: For Session Initiation Protocol trunking, you’ll need an internet connection. (Our engineers have the facility to check broadband suitability at your premises to ensure the best connection possible is installed). You’ll also need an Avaya IP office 500V2 with physical cards that allow for IP telephony, (either a VCM32/64 or a Combination card). The phone system will also require the latest software release, currently R11.0, SIP trunk licenses and compatible Avaya handsets. This is a really popular option, in fact we’ve successfully switched five clients to SIP trunking in the last month alone. VoIP solution: Voice over Internet Protocol enables you to make and receive phone calls via your internet connection. The Gamma Horizon solution is perfect for a small business with under 15 extensions and basic functionality requirements. Its main benefits include minimal hardware required on-site and it’s manageable remotely through our online portal. Plus you can spread the cost over three or five years. Cloud Hosted Telephony: This is a way of storing your phone system in a managed cloud, (following the same procedure of SIP trunking above), resulting in less hardware and maintenance costs, plus much more resilience thanks to the disaster recovery features included. Our fully trained team of experts will spend time understanding your business and existing phone system, and advise which of the solutions above would best suit your business. The good thing is that you may not have to replace any of your existing phone system. What’s more, we’ll make sure you’re up and running, communicating and interacting smoothly, with out-of-hours switchover as standard. All of our calls to UK landlines, mobiles and national numbers come free of charge, and if you sign up to a three or five year deal, all handsets are free of charge! Want to find out more? Look out for our case study from Hudson House, which we’ll be sharing very soon, for more information on the benefits of moving from ISDN to SIP trunking. Or call 0345 450 8400 or email [email protected] and we’ll happily tailor a solution to meet your needs. The big switchover deadline is 2025, but the incovo team is ready now and can update your technology at a time that suits you and your business.